If they finish their sentences and comply with any terms of parole, Texans convicted on felony drug charges soon will be able to receive food stamps, though another strike will put them back under a lifetime ban. Earlier this month, Gov. Greg Abbott signed Senate Bill 200 — a sunset law partially consolidating the state’s health and human services system — which included an amendment making people with felony drug convictions eligible for the federal Supplemental Nutrition Assistance Program. Previously, a drug conviction meant a lifetime ban from food stamps. Many states that opted to bar drug felons from SNAP for life when it was created in 1996 are now reversing course. The change prevents people "from being held hostage for a crime that they did and paid for decades ago," said Rachel Cooper, senior policy analyst for the Center for Public Policy Priorities. Beginning Sept. 1, eligible Texans who complete their sentences can begin receiving SNAP benefits, though violating terms of their paroles would lead to a two-year disqualification. If they re-offend on drug charges, they face a lifetime ban. 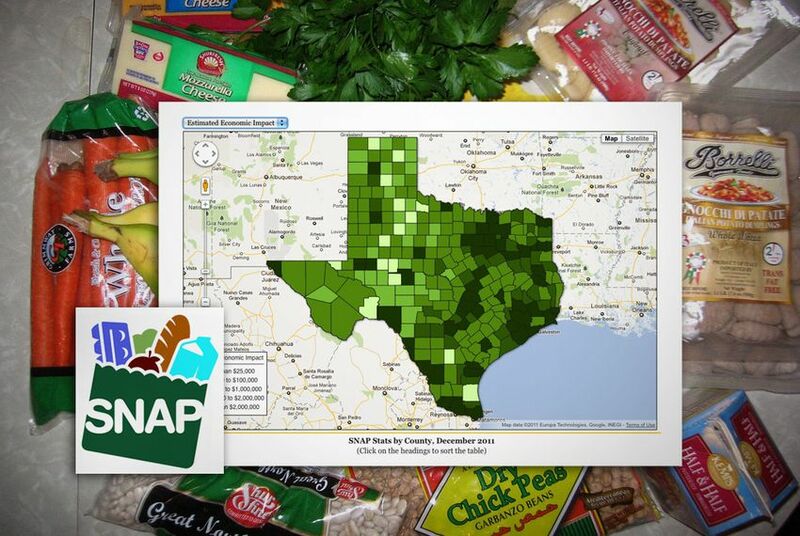 About 3.6 million Texans receive food stamps through SNAP, according to the state Health and Human Services Commission. Neither the commission nor Feeding Texas could determine how many more people will become eligible. Celia Cole, CEO of Feeding Texas, said the change faced little opposition because of its broad coalition of support. At a House Human Services Committee meeting in April, representatives from the Christian Life Commission and Texas Criminal Justice Coalition, among others, testified in favor of the bill. No witnesses stood in opposition. "We're hopeful that this will help part of the vulnerable population get on their feet and be successful," Cole said. Correction: This story originally misstated when felons could begin receiving SNAP benefits. They are eligible upon finishing their sentences.